Some of the coolest stuff in folk culture can also come from Japan. We just need to find the right tale. I think I know just the one. 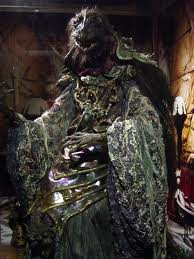 Now, Japan has its own rich folk culture full of folk heroes, tales and creatures. 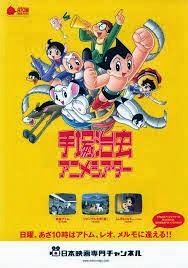 They’re also big fans of Western fairy stories in Japan (“Little Red Riding Hood” is big in Japan. They call her “Akazukin” and she’s inspired a couple of cartoons over there). 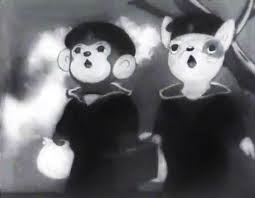 However, the biggest home-grown fairy tale has got to be that of “Momotaro” or “The Peach Boy”! How big is “Momotaro”? 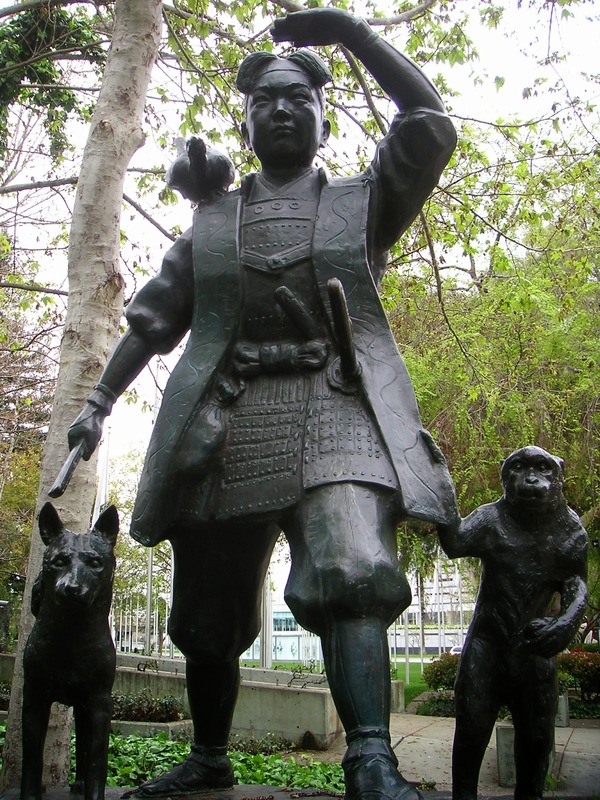 He’s so big that they’ve actually built a statue of him outside a train station in Okayama (there’s also one in a park in Okayama’s US sister city of San Jose)! He’s so big that he’s been referenced in various Japanese kids’ shows like Kamen Rider Den-O and Gougou Sentai Boukenger and in American shows with Japanese flair like Samurai Jack! 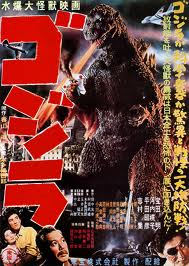 He’s so big that during World War II, the Japanese used him as a symbol in their propaganda! Um . . . maybe that’s not the best example. Wartime brings out the worst in a culture. The Germans did something similar. I’m not sure we should cast stones, though. If the US had ever thought to cast Hitler or Hirohito as The Big Bad Wolf, I’m sure we would have (I just can’t find any evidence). 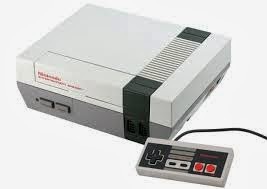 Anyway, we’re past all that now and it does show how much cultural power the story has! Now, as for the story. It starts with an old grass cutter and his wife. They’re old and mostly content, except they have no children. So, one day, the grass cutter goes off to work and his wife goes down to wash clothes in the river. As she’s washing, she sees a huge peach floating down the river. Now, thinking this peach would make a fine supper, she fishes it out of the water and takes it home. 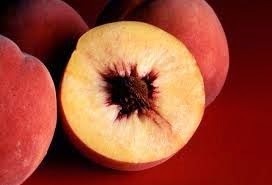 When her husband comes home and attempts to cut the peach in half, it splits open and reveals a little, baby boy where the pit should be. The boy announces that he was sent by heaven to be their son (at least, in some versions. In others, he doesn’t talk yet). The couple takes the boy as their own son and name him Momotaro, which translates more or less to “peach son”. Momotaro grows into a fine young man and does his parents proud. However, at age 15, he starts top hear that a band of terrible oni are ravaging the countryside. Oni are horrible monsters with red skin, bulgy eyes and fangs that wear tiger-skin loincloths and carry heavy iron clubs (some translations Westernize the oni into “ogres”. I don’t like this as it robs the story of some cultural flavor). The oni would come ashore, ravage a town and then head back to their island. 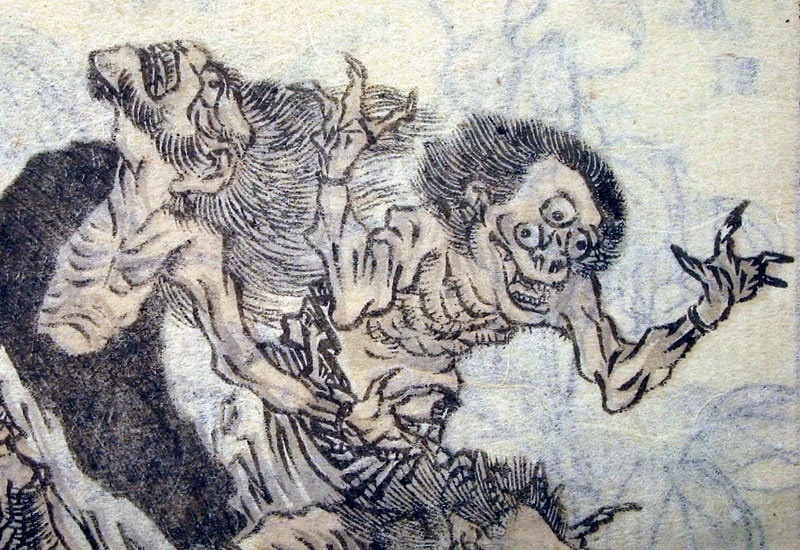 Momotaro decides that it is his purpose to find these oni and fight them. His parents don’t want him to go, but eventually they relent. So, he arms himself with a sword and his mother gives him some millet dumplings and he heads out on his way. 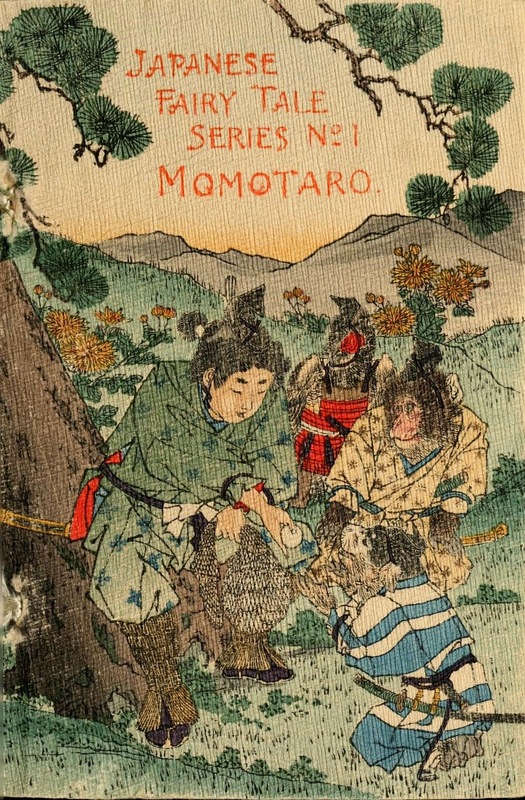 Along the way, Momotaro builds his small army. First, he encounters a dog, who agrees to come with him in exchange for a dumpling. Then, he meets a monkey who agrees to do the same. Then, a pheasant agrees to join in exchange for some food. Eventually, the little band get to the shore and in a boat, set out for the oni’s island stronghold. When they get there . . . Ah, you know me. I don’t like giving away the endings on the blog here. That’s better done in face-to-face storytelling. If you want to read the whole tale though, you can find it right HERE. And in the comments, tell me what you think. Do you think Momotaro could be the next international fairy tale superstar? Last week I produced kind of a negative post about the problems I had with ABC’s Once Upon a Time. I thought this week I might counter with something a little more positive. Now, are there any fans of children’s literature out there? Sure there are! Almost everyone’s warmed up to “kid-lit” since the Harry Potter books came out. Yes, I know this series has already been out for a long time and has ended already (2005-2012). But I didn’t have a blog back then. Also, I’m the type who tends to dig up old stuff to read more than new stuff (usually, my reading material consists of folk tale books than can be anywhere up to 200 years old). Anyway, the adventure starts out with Daphne and Sabrina Grimm on a train headed to the town of Ferryport Landing in upstate New York with their caseworker, a rather unpleasant woman named Minerva Smirt. The Grimm sisters are orphans ever since their mother and father disappeared with the only trace being a car with a red handprint on the windshield (paint, not blood). Now, after a string of bad foster parents, they’re going to live with their grandmother. There’s only one problem. Their father told them that their grandmother died before either of them was born. Well, it turns out that there’s good news, bad news and weird news. The good news is that this woman, Granny Relda, really is their grandmother. The weird news is that the town of Ferryport Landing is actually a town filled with numerous characters from folk and fairy tales called Everafters that have become stuck living in this town. Granny Relda is a fairy tale detective whose job is investigating the many magical crimes that happen in Ferryport Landing. The bad news is that the reason the Everafters are stuck there is because the girls’ ancestor Wilhelm Grimm used magic to make it that way. Now, the Grimm family is hated because of it. Alongside the girls and Granny Relda, the main cast also includes her friend Mr. Canis (who has a secret of his own), Relda’s huge dog Elvis and Puck. Yes, that Puck. The one from William Shakespeare’s A Midsummer Night’s Dream. The same one who made appearances in Disney’s ‘90s cartoon series Gargoyles. Only, in this case, the self-proclaimed “trickster king” appears as a blond, mischievous 11-year old boy in a green hooded sweatshirt. He’s still got a lot of magical power though. Puck’s probably my favorite character in the series. I’ve got a soft spot for tricksters, provided they’re more mischievous than malevolent. There are nine books in the series. I’ve read two of them. Not because I dislike them, though. It’s more like I lost track of the series when other interesting books popped up (I really must put books 3-9 on my to-read list under the 150 other books on the list). Luckily, if I need a refresher, there’s a wiki to help. 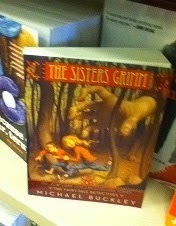 Anyway, on the subject of fairy tale characters stuck in our world, what I read from the Sisters Grimm was a pleasure. While there was some of the necessary darkness of fairy tales (albeit a type appropriate for children), there was also a bit of a sense of humor. The books had a little bit of a twinkle to them. Humor is usually a good way to win me over. I say, if you’re a fan of children’s books or fairy tales and haven’t tried this series yet, give the Sisters Grimm a try. You’ll probably be glad you did. Last night, ABC’s Once Upon a Time returned to television for the second half of its third season. 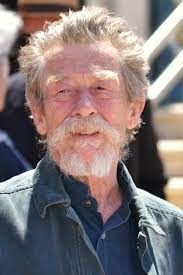 This season seems to promise some Wizard of Oz characters as well as a mystery as to what happened during a missing year. Now, my attitude to this show has changed as time has gone on. 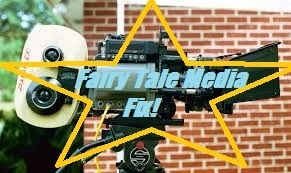 While it started as a show that I was very excited about, as the seasons went on I found it turning into a show that I was a bit cold on to a show that I mainly continue watching just because it was one of only two fairy tale shows on TV. Now, I thought I might use this post to figure out what it is that bothers me about this show. For the uninitiated, the idea is that the Evil Queen from the story of “Snow White” cast a terrible curse that stranded a number of fairy tale characters in “our world” with new names and new identities in a Maine town called Storybrook. The only one who could save them from the curse is Emma Swan, the daughter of Snow White and Prince Charming who was left in our world as a baby. Also, she’s helped by her son Henry who she gave up as a baby and who was adopted by the Evil Queen and . . . Y’know, the show’s kind of a prime time soap opera, so it gets a bit complicated. Anyway, what is it that made become disenchanted (pun intended) with this show? Well, one thing could be how much they lean on the familiar “Mouse-Ears” versions of these characters. The show airs on ABC, which is a Disney-owned network. So, they can use all sorts of Disney names and trademarks. They use the same names for the Seven Dwarfs as Disney did. They used Jiminy Cricket, even though the talking cricket in Carlo Collodi’s original Pinocchio gets squished by Pinocchio in a fit of anger. They even managed to work in Pongo from 101 Dalmatians and Chip the teacup from Beauty and the Beast in their own way. The bit that really got me was when the spinoff Once Upon a Time in Wonderland (which I actually like a little bit more than the original Once Upon a Time for some reason) used Silvermist the fairy. 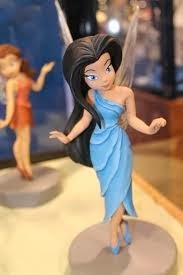 Silvermist is from the Disney Fairies line of books and toys which spun-off from the Tinker Bell character from Peter Pan. So, it’s not even the Disney version of a character or a character from a proper Disney fairy tale adaptation, but one from a tangential property. But, it’s hard to hold that as the reason why. It seems like kind of a little thing. After all, I don’t hate the Mouse. How can I hate the people who gave the world Darkwing Duck, Fillmore and Gravity Falls? 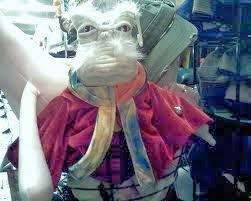 Also, they bought up Marvel, Lucas Film and the Muppets, so I know they do have good taste. I really have more of an issue with people who seem to hold their animated adaptations as some kind of canon (also, I just like to make fun of them). So, I don’t think that’s it. It could be some of the choices they make with these characters. The writers of this show like to combine certain characters and they also like to make traditionally good characters bad and bad characters, well, if not good than at least complex. The ones that really get me is how they turned both Jack and Peter Pan, my two mainstream favorites since childhood, into bad guys. Well, actually a bad girl and bad guy respectively. I’ve also never been the type to root for the villain, so the deepening of characters like the Evil Queen and Rumpelstiltskin don’t do much for me. I particularly find it hard to sympathize with Regina. They make this big deal about how she only wants what’s right for her son, Henry. However, she also had the chance to be a mother ages ago when she married Snow White’s father. Instead, she treated the girl like dirt because of a broken promise that Snow was tricked into breaking. And she still seems to carry that grudge. However, there are some choices I did like. I liked how they gave Prince Charming more of a backstory and personality. Lord knows, most Prince Charming types could use it. Also, despite myself, I’ve found myself liking the young and dashing version of Captain Hook they’ve created (though, he is still a codfish). So, there’s another dead end. It could be that they haven’t really branched out into more unfamiliar tales. 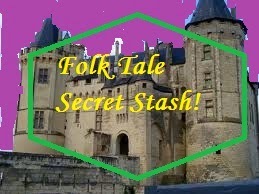 They have the platform to introduce the TV-watching world to all sorts of lesser known folk tales and children’s stories. Instead, they stick with the more familiar household names. I suppose I can’t fault them for giving people what they expect, though. If I was upset with people for that, I'd be upset with almost everyone who's ever made a fairy tale based show or movie. It could be the writing. There are times when the heroes of this show come across as downright dumb. Also, the first half of this season was largely about the main characters wandering around an island engaging in some rather forced inter-personal drama. However, I have actually watched and enjoyed worse written shows than this. I think what it might come down to is tone. What this show essentially does is take fairy tale characters and strip them of their happy ending. When you get right down to it, fairy tales without the happy endings are kind of dismal. The happy ending is the payoff for all the terrible things that happen. Fairy tale protagonists suffer as they find their way towards happiness. Without that “happily ever after”, they just go on about their bleak lives being mistreated by their evil stepmothers or whatever. The show is also filled with magic, but none of it is ever good. None of it is wondrous. One often repeated statement is “All magic comes with a price”. So, now they suffer for the use of magic as well. It’s such that, at the beginning of this season when Henry made a big deal of saving magic, I had to wonder why. Surely, most of these characters would be better off without it. The funny thing is, the show’s creators have said that one of the show’s major themes is “hope”. The problem is that they haven’t managed to sell me on this hope. The show doesn’t feel particularly hopeful and without that hope, a lot of the fun gets sucked out of fairy tales. Even the darkest fairy tales often hold onto the notion that the happy ending is right around the corner, but I don’t get that feeling from Once Upon a Time. In comparison, we can look at my favorite show: Doctor Who. I know people will say that this is an unfair comparison, seeing as Doctor Who is a family show and Once Upon a Time is arguably aimed at adults (never mind that it’s a show about fairy tales featuring Disney characters and airing in the traditional 8:00 “family” hour on a Sunday). However, the thing about Doctor Who is that as bad as everything may get, the show is always overflowing with wonder and hope. Once Upon a Time could use a little bit of that. It needs to make me feel like the happy ending is coming. Also, this may just be storyteller’s pride, but I just always feel like I could tell these characters’ stories better. Oh well, this one's been kind of focused on dislike, so I’ll try to make a more positive post for next time. Any thoughts on Once Upon a Time, post in the comments below. 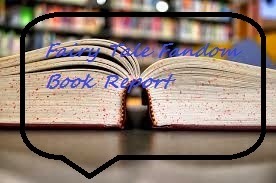 Okay, I knew I would have to do this post eventually, seeing as this blog focuses a lot on both fairy tales and pop culture. I’ve kind of been having trouble getting myself to do it because of the subject matter, though. But, I suppose if there are men on the internet who can post about My Little Pony and still be secure in their masculinity (and there are), I suppose I can write one post on this subject . . . It seems that in recent years, a trend has popped up in the doll aisles of toy stores. While the ever-changing yet somehow changeless Barbie still remains queen, there have been more and more dolls coming out with a basis in genre fiction. There are dolls based on famous horror monsters, witches and aliens. It isn’t the first time that toy companies have made fashion dolls with a little more character. People my age and a little older will remember Jem (who was, in fact, truly, truly, truly outrageous). Now, with horror and science fiction covered, would it be so surprising to see fairy tales be the next subject? Of course not! Fairy tales have been part of the fashion doll scene for a long time. Every time Mouse Ears Inc. (aka Disney) makes a movie with a princess in it, there is naturally a fashion doll to tie in with it. Also, I’m certain there have been at least half a dozen fairy tale Barbies out there (ever notice that no one makes boys' toys based on fairy tales? Come on! Where’s our Jack action figure with “ax-swinging action”). However, I’m not sure it’s ever been done with the level of world-building that’s become attached to it. The great majority of these worlds are built around one idea: a school for fairy tale characters. Incidentally, this is also the concept behind the children’s book The School for Good and Evil by Soman Chainani, which I’m currently reading (I’m catching up on my fairy tale inspired fiction). Keep in mind that I haven’t had much chance to get a close up look at the actual toys because, well, I’m a grown man in his 30s with no kids. So, most of my opinions come from the ancillary material related to these properties. The first variation of this concept that I just happened to stumble upon is a line of dolls called Fairy Tale High made by a company called S-K Victory. The basic concept is that a group of famous fairy tale characters during their teenage years attend the titular high school, which also happens to be a school for the performing arts. The cast of characters includes Snow White, Belle, Sleeping Beauty, Cinderella, Alice (of Wonderland) and Tinker Bell among others. There are some web cartoons, they’re not really much to look at compared to the ones from other properties (more on that later). Looking at it, it seems like a decent enough toy line but kind of shallow. I suppose the performing arts school idea will appeal to little girls who see similar concepts on Nickelodeon and Disney Channel. The people behind the concept just don’t seem to do much with it or the fairy tale angle. I have a feeling that if I were a dad with a little girl, I’d have a hard time sitting through a Fairy Tale High movie with her if one existed. On the other hand, there’s Ever After High. Following in the footsteps of their hit Monster High line of dolls, Mattel launched a similar line based around fairy tales. The concept of Ever After High is that the children of famous fairy tale and story book characters go to a school where they’re taught to follow in the footsteps of their famous parents. Exactly in their footsteps. You see, according to their school headmaster, the kids have to live out the stories of their parents or else the stories will fade from existence and all who are connected with it will disappear as well. Now, the school is split into two factions. The Royals, with lead character Apple White (daughter of Snow White) who are fine with this and want nothing more than to live out the same happy ending as their parents. And there are also the Rebels, with lead character Raven Queen (daughter of the Evil Queen) who wish to deviate from the plot and take the risk of writing their own destiny. Kind of an odd concept for a line of fashion dolls. You see, there’s a web series, though. You can find episodes here (there’s also an amazingly catchy theme song). I watched a few episodes to research this article. And then a few more . . . and a few more. Okay, here’s the thing. Much like the most recent version of the My Little Pony cartoon, which I mentioned in the first paragraph, the web toons are much better than they have any right to be. What could have been a really shallow girls’ cartoon about princesses actually plays rather adeptly (if not always deeply) with the notion of following your predetermined destiny versus taking the risk of setting your own course through life. There are also some nice references to more obscure fairy tales in the background (the Home Evilnomics teacher is Baba Yaga, who most kids wouldn’t know offhand). Also, there are some surprisingly funny bits. One of my favorites is how one character, Maddie Hatter, who I actually have a picture of right here . . .
by virtue of being mad can hear the narrators talking when no one else can (there are two narrators and they bicker all the time). 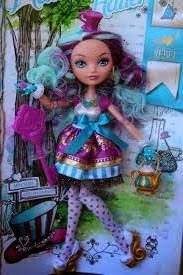 If I had a little girl, I’d have no problem with her being into Ever After High. I’d probably even be able to stomach sitting through the web cartoon with her . . . depending on how many times she wanted to play them. I wonder sometimes if the quality of this line has anything to do with the involvement of Shannon Hale. 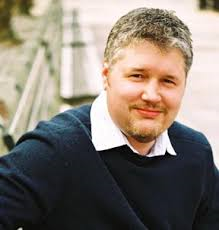 Shannon Hale is a Newberry Award winning author who has written books both for adults and young readers. She also has serious fairy tale cred because she wrote The Goose Girl, a young adult novel that adapts a Grimm’s fairy tale. Now, if you look at the recent and upcoming Ever After High novels, you’ll see that the author of the books is . . . Shannon Hale. 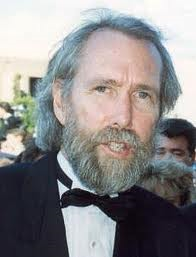 I don’t know if Hale was involved with the web cartoons either in the form of a series bible or even scripts, but I know that if I was able to get a Newberry Award winning author working on something, I’d certainly try to get them as involved as I could. The trend doesn’t end there, though. According to the internet’s best fairy tale newshound InkGypsy over on her site Once Upon a Blog, the Mouse is ready to get in on the craze. Disney has lined up a Disney Channel live action special entitled Descendants, which focuses largely on the children on famous Disney villains in high school. It’s going to be directed by the same person who directed their hit High School Musical. There’s no official word on whether or not this will coincide with the launch of a doll line, but I wouldn’t doubt it when you consider that Disney rarely passes up a chance at a merchandising deal. No one quite knows where this trend may end, but if any of it’s as surprisingly good as Ever After High’s web series though, it may be worth a look. Now that that’s over, maybe I can get back my “Man Card”. Any thoughts on the franchising out of fairy tales into toys and cartoons past or present, make your thoughts known in the comments section below. Well, this is a first. It seems that I’m contradicting the title of my own column here with the first installment. 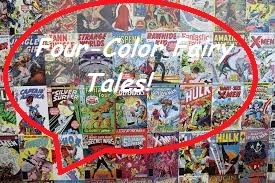 You see, I call this “Four Color Fairy Tales” because I want to use it to talk about fairy tales in comic books. “Four Color” refers to an old comic book coloring process that they used to use. However, the first comic I’m choosing to talk about is a manga which is, of course, in black and white. However, I wanted to write about something a bit more current and I don’t usually do much with Arabian Nights, so . . . I present to you: Magi: The Labyrinth of Magic writer/artist Shinobu Ohtaka. There weren’t a lot of decent pictures to work with so I took the pictures myself with an Ipod camera. Can you tell? (sigh). In consolation, I can link you to the official trailer for the anime adaptation (gee, sure makes it look epic, doesn't it?). Anyway, Magi is a boys’ or “shonen” action adventure manga set in a world that seems very much like that of the Arabian Nights. The first character we meet is this boy here: Aladdin. A young wagon driver named Alibaba. It turns out that Alibaba’s goal and dream is to defeat the world’s dungeons. Dungeons are mysterious buildings that began popping up fourteen years ago, they’re supposedly stuffed with treasures and mysterious magical objects, the most noteworthy magical objects being the djinns’ metal vessels. The problem is that very few people who go into the dungeons come out again. After becoming friends, Aladdin and Alibaba agree to take on a dungeon together because Alibaba wants the treasure and Aladdin wants to find the djinns’ metal vessels. I’m not going to go any further because I don’t want to spoil anything else, but you can see where this is going. I will say that neither Aladdin or Alibaba are quite what they seem, though. Looking at Magi, the connection between the manga and the Arabian Nights tales is a rather light one. The names Aladdin and Alibaba may seem familiar, however they’re both brand new characters. This isn’t really an unfamiliar thing in relation to the Arabian Nights and pop culture (has anyone else ever noticed how many Sinbad movies and shows there are out there that have very little to do with the original stories about Sindbad the Sailor?). There are some smaller connections. The theme of the poor and oppressed overcoming the rich and powerful is common in both Magi and the Arabian Nights. In Magi, this is especially the case in a story concerning a rich lord and the slaves he owns. Also, the dungeons do have a superficial resemblance to the cave where Aladdin finds the ring and lamp in “Aladdin and the Wonderful Lamp” and the thieves’ cave from “Ali Baba and the Forty Thieves”. Beyond that, the story is pure shonen battle manga in structure and execution. There’s a cheerful boy protagonist with a goal and a special power and he must achieve that goal by overcoming a number of adversaries. I’d say that if you like shonen manga, then Magi is a solid choice. Though, maybe not something that would knock your socks off. If anyone has any suggestions for other fairy tale comics they’d like to see in “Four Color Fairy Tales”, let me know in the comments below.